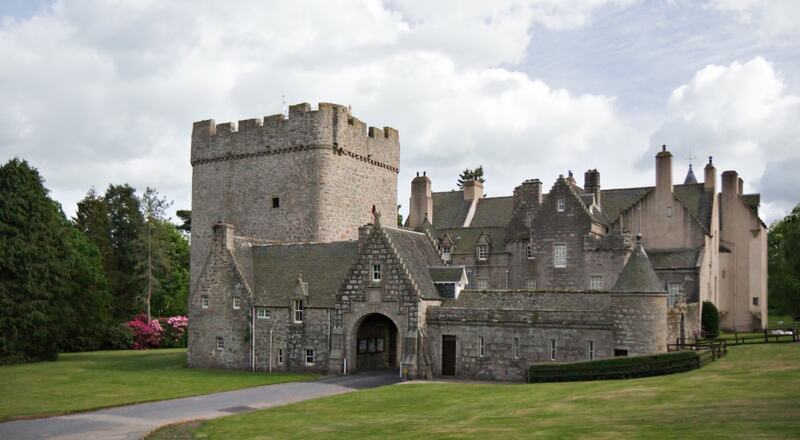 Drum Castle was, for centuries, the seat of the chief of Clan Irvine. The place-name Drum is derived from Gaelic druim, "ridge". The original 13th-century tower of Drum Castle is believed to be one of the three oldest tower houses in Scotland (and notably unaltered). A large wing was added in 1619 by the 9th laird, and further alterations were made during the Victorian era. The castle is surrounded by late 18th-century gardens, including a rose garden and arboretum containing trees from all regions of the 18th century British Empire.